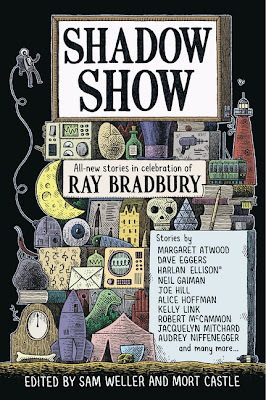 Ray Bradbury is a storyteller without peer, a poet of the possible, and, indisputably, one of America’s most beloved authors. In a much-celebrated literary career that has spanned seven decades, he has produced an astonishing body of work. 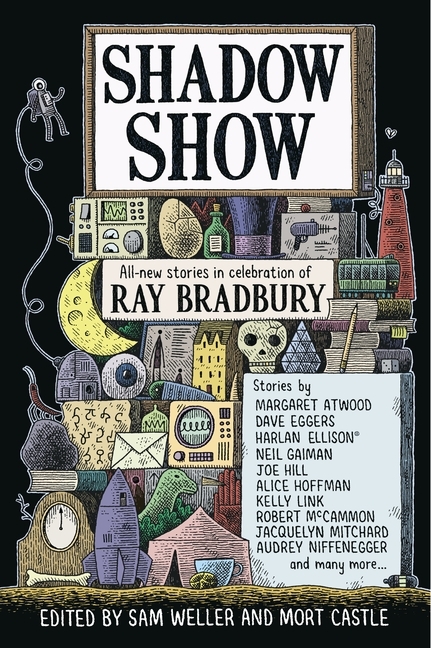 In Shadow Show, editors Sam Weller and Mort Castle have collected short stories from 27 of the most celebrated authors today to honor Ray Bradbury and his contribution to the literary canon. The revealed list of contributors includes: Margaret Atwood, Neil Gaiman, Joe Hill, Dave Eggers, Harlan Ellison, Alice Hoffman, Dean Koontz, Audrey Niffenegger, David Morrell, Lee Martin, Ramsey Campbell, Robert McCammon, Dan Chaon, Joe Meno, Kelly Link, Jay Bonansinga, Sam Weller, Thomas F. Monteleone, John McNally, Mort Castle, John Maclay, Gary Braunbeck, Bonnie Jo Campbell, Charles Yu, Julia Keller, Bayo Ojikutu, and Jacquelyn Mitchard. The big names that weren't on the previous list I had include Charles Yu and Kelly Link. So you could definitely say I want Shadow Show come its July 17th release date. Awesome! Thanks for the heads up --- now have this waiting to order for my library. :) can't wait!!! Thanks for mentioning the book! Launching it at Comic Con.